Very tasty and lots of tzatziki. 2.90€ each (although menu said 4.80€ confusingly). So a bargain and tasty lunch. Went to this place for lunch and had a gyros. 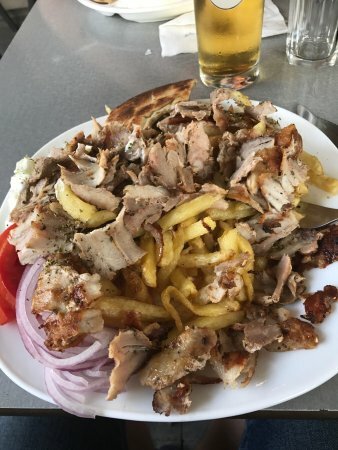 One of the best gyros I've had in Crete for a while. 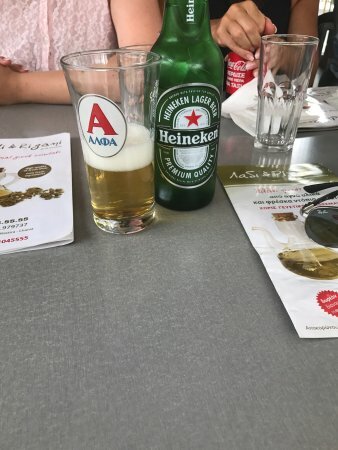 Good value at €2.80! Great for a quick bite to eat if you're staying in one of the local hotels. 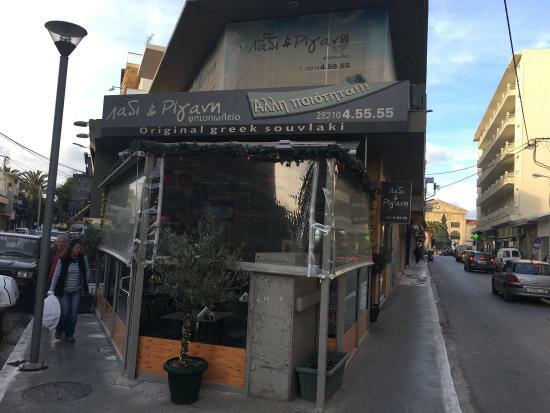 One of the best souvlaki spots in Chania town! Tasty souvlaki, steaks, potatoes, pita-gyros. Good to take out or sit and eat something in the day but also in the evening or delivery. Very close to the centre of the town. Very good lunch spot, good selection of Greek lunch foods. Everything was delicious and the staff was very friendly. The portions are enough for a good lunch meal. This is my absolute favourite souvlaki in chania. Everything is clean, the meat is if great quality and the potatoes are always fresh. Also a big love of mine is their ceasar salad...It is the place where you can eat fast and great quality food! Open late, tender meat and friendly staff, it was the first place we went to on arriving to Chania. I have to say Retsina wine is an acquired taste as it tastes like rosemary. Get quick answers from Ladi & Rigani staff and past visitors.